This is a new feature for Vocals On Top. I collect autographs and have a ton of them laying around. They were obtained over the internet or in person or bought at shows mostly. I plan to randomly post my signed memorabilia for all to see. This first installment is the band My Morning Jacket. 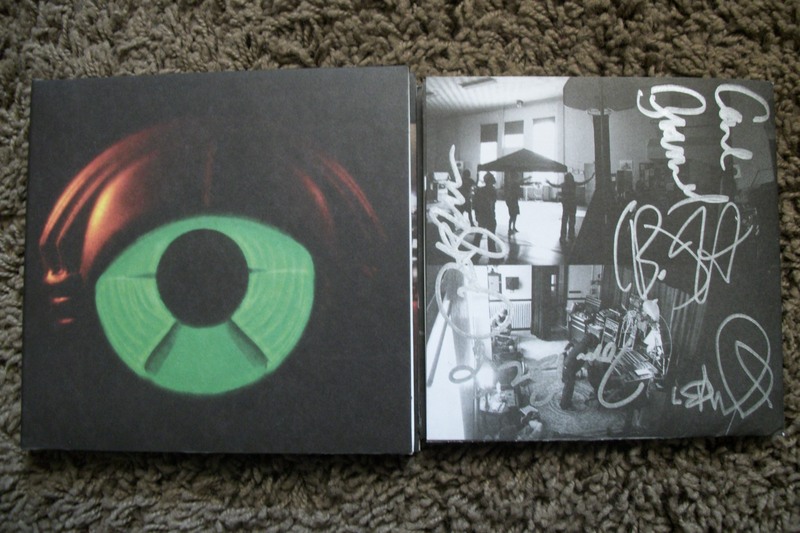 I got this autographed cd booklet for their latest album Circuital off newburycomics.com. It is a great place to pick up cheap autographed cd booklets. They have artists do in-store signings and sign extra booklets of their latest album. They sell the autographed booklet along with a sealed copy of the cd together for a normal price of a cd most times. This My Morning Jacket was just $12.99. It is a great way to pick up nice autographs. This entry was posted in Signed! and tagged autographed, Bo Koster, Carl Broemel, cd booklet, cd booklets, Circuital, Jim James, My Morning Jacket, Patrick Hallahan, signature, signed, signed!, Tom Blankenship, Yim Yames. Bookmark the permalink. why is lefty McFlapjack not on there? did he get fired from the band? After exhaustive research I have determined that Lefty McFlapjack was a session musician. He played all guitars and bass on the record, he also recorded all final vocals. He was then fired from the band and given no credit. This is of course all lies.